Determine the exact price: While upscale Cayman real estate generally commands a good price, you will need to determine the exact price your house commands in the market. Many a times, because of affection towards your own house, you may feel that your house commands more money on the market that it actually does. However, you need to make certain along with your agent about the actual price and also understand that homes for sale in the neighbouring areas could also make an impact. Do a scouting in your area and obtain first-hand knowledge on homes that are available on your neighbourhood. Make your home stand out from the rest: You will need to determine how to make your home stand out from the rest. As a seller, you can conduct a pre-sale inspection. This is usually the norm for a Cayman house on sale, which will provide comfort to the prospective buyer that the home under consideration is in top shape. Many prospective buyers carry a long lasting first impression of the house they have seen. Besides curb appeal, you also need to make them walk through the front door. The bottom line is that you need to get the home ready for showings. Spruce up the home including the front door and dust the rooms so that prospective buyers can appreciate the various nuances of your home. This will help you get the best value for your Grand Cayman property. Be realistic about the location: It is better to understand that you need to be realistic about the location of your Cayman residential home. If you are situated away from town then you might need to adjust the price accordingly. 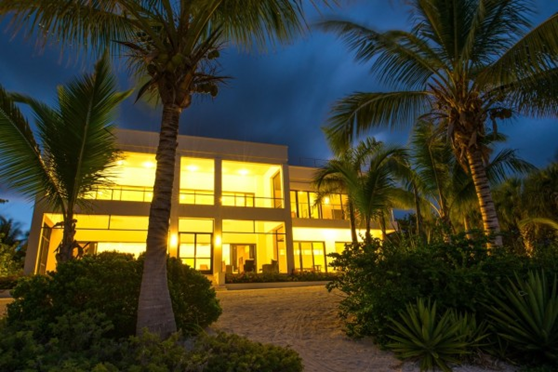 Location is very important when it comes to Grand Cayman real estate, especially homes. De-clutter your home: It is essential that you de-clutter your home before presenting it to the prospective buyer. It may be a good idea to clean closets, clear out cabinets, and remove anything that obstructs the buyer’s appreciation of your property. Keep valuables and important papers organized and bookshelves organized. Spruce up the exteriors: Keep the house clean while also sprucing up the exteriors. Keep potted plants by the front door and eliminate any cobwebs. Keep the pathway to your home clean and repair anything that needs minor repairs. Mow the lawn and trim the trees. Make your home look loved. This is what most buyers want to perceive. Ensure that people can move easily from one room to another without bumping into furniture or other things. It is good to remember that selling a home space is quite different to how you live in it. Appreciate every offer: Finally, it’s wise to consider every offer with appreciation and highest esteem. Since offers are rare they are not only precious but valuable as well. There is no offer that you can deem is an insult. You need to remember that out of all the homes on sale in Cayman, the buyers made an offer for your home. Contact me Rick Burgos on 916-1756 email rickb.cirealty@gmail.com for a free Competitive Market Analysis of your home.